Do you guys remember the post I made about Foz Direct Wine in early October? These photos were taken that day (that's why I'm wearing the white bracelet, ups ..) and I completely forgot to show you these photos around here. I love dresses with flowers to break with the monotony of total black looks in winter, and this one is pure love! It's from Zara this season but it sold out quickly online and in the stores. The boots are the Kalena model from Public Desire and the earrings are my favorites from Parfois for this season. Lots of kisses and thanks for always being on that side! Lembram-se do post que fiz sobre o Foz Direct Wine no inicio de Outubro? Estas fotografias foram tiradas nesse dia (por isso é que estou com a pulseira branca do evento, ups..) e tinha-me esquecido completamente de vos mostrar por aqui. Adoro vestidos às flores para quebrar com a monotonia dos pretos no Inverno, e este encheu-me as medidas! É da Zara desta estação mas esgotou rapidamente online e nas lojas. 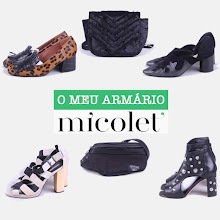 As botas são o modelo Kalena da Public Desire e os brincos são os meus preferidos da Parfois para esta estação. Muitos beijinhos e obrigada por estarem sempre desse lado! Adoro o look! E essas over-the-knee boots em veludo... oh my!